Mohammed Adam holds a BA law degree from the University of Durban-Westville, LLB degree from the University of the Witwatersrand and LLM degree in International Trade Law from the University of Essex in the UK. Mohammed was admitted to practice as an attorney in 1998 focusing on human rights with the law firm Ismail Ayob and Partners before joining Eskom Holdings SOC Limited as a legal advisor in 1991. Since then he held several positions in Eskom in a professional and management role. At present he is Eskom’s Corporate Counsel and Divisional Executive (Regulatory and Legal) responsible for three main areas: Legal (including compliance), regulatory matters and corporate governance (including the company secretariat) and ethics. Marius is currently the Group Executive: Special Projects at Business Connexion and has been seconded on a part-time basis to the Centre to drive the Professionalisation of Integrated Reporting. 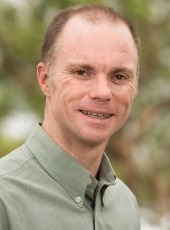 Alistair Schorn is currently the Director at Sustainability Consulting. He holds a masters degree in in Economics, specialising in international trade and investment promotion. Dissertation on the subject of special economic zones as instruments for the promotion of industrial development, investment and trade. Further studies in financial aspects of investment, international trade negotiations regarding environmental goods and services, and various aspects of ecological footprint and corporate sustainability. Experience in international trade and investment promotion, trade policy development and analysis, marketing and market research, and public policy and corporate practice in the field of environmental and social sustainability in emerging economies. In-depth experience in strategic, operational and financial management of international programme promoting environmental and social sustainability and Green Economy concepts in economic, trade and investment policies and practices in emerging economies. Most recent experience in corporate sustainability, strategy development, sustainability analysis, report authorship, and independent third-part assurance. Dumisani Hlophe is the Founder and Chief Executive Officer (CEO) of the strategic think tank Kunjalo Centre for Development Research (KCDR). He is a leadership, policy development, and political science expert. He provides advisory services in leadership, management, and analysis of political environment for optimal organisational performance. His working professional experience spans across academia; public, and the private sectors. He is a major public speaker on leadership, management, organisational development, small business development, and political environmental matters. 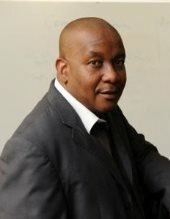 He holds a masters degree in politics and currently pursuing his Doctoral studies in politics with UNISA. John North is an integrational entrepreneur operating across the boundaries of society, business and academia. He hold an MBA degree, created 2 online businesses during his undergraduate degree, and later worked as international strategy consultant advising Fortune 500 companies. He was the founding head of Accenture's sustainability practice in Ireland. His passion to make a difference in his home country brought him back to South Africa in 2009 where he combines local work as senior advisor to the Albert Luthuli Centre for Responsible Leadership, University of Pretoria and an international role as Projects Head of the Brussels-based UN-backed Globally Responsible Leadership Initiative. In the latter role he is focussed on a series of implementation projects of the 50+20 Agenda of management education in service of society.